Made in the USA and is CPSIA and Proposition 65 Compliant.Comes with a free 2nd side imprint. 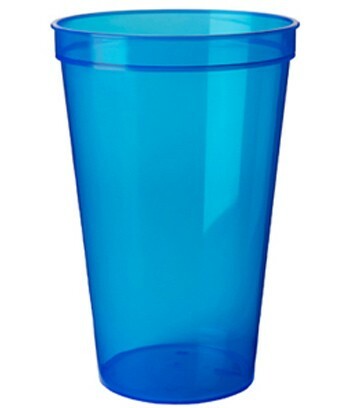 The 22oz Stadium Cups is Made in the USA of high quality plastic, CPSIA and Proposition 65 Compliant. Great or any event you may be having. Customers can reuse this cup many times with your custom imprint on the cup. if you need an imprint color not listed? let us know the PMS color and we can do a free ink color match for this item.